Quality features - 1. Power saving insulation, 2. ISI marked heating element ,thermo state and cutout, 3.Heat resistant engineered abs plastic body 4.Extra heavy element for extra durability, 5.Extra thick capsule type inner tank, 6.Anti vacuum system, 7.Automatic thermo state, 8.Power saving insulation , 9.Built in pressure release valve, 10.Comes along with magnesium anode for long life in hard water, 11. Exclusively designed best combination of ivory color with maroon, 12. 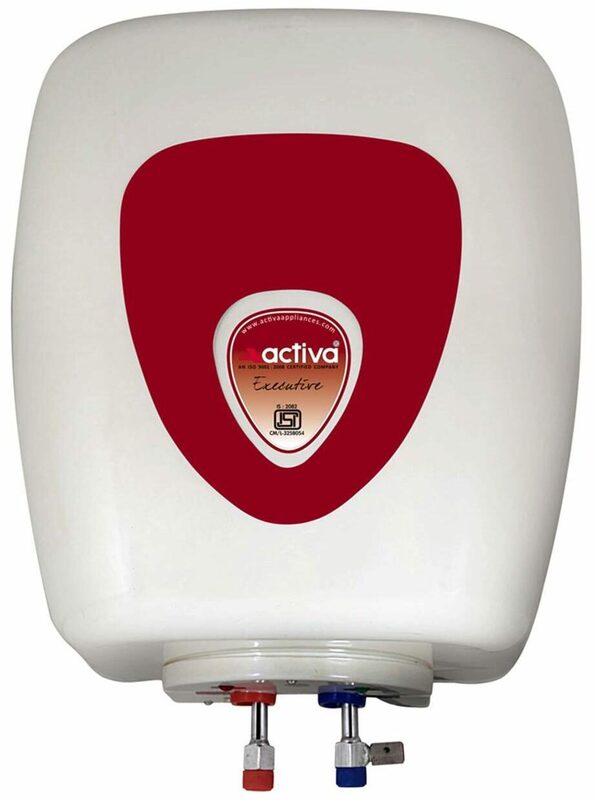 Activa 25l geyser comes with a pure 304 l stainless steel inner tank . # SELF INSTALLATION # The images represent actual product though color of the image and product may slightly differ.